Our self-storage facility is a safe and convenient way to store your belongings. 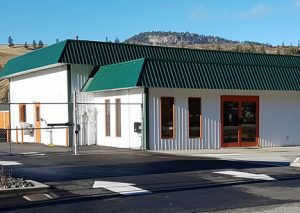 Our clean, modern facility is located just across Hwy 97 from Gallagher Lake in Oliver, BC. Check out our available storage unit sizes. We even have Outdoor Storage for trailers and RVs. 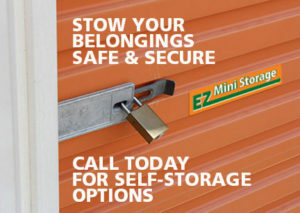 Call today to book your self-storage unit. “We would like to thank you for your accommodation to us during our move to Gallagher Lake. Your sincere professionalism and wonderful attitude made our move a lot easier when we were looking for storage space. The facilities at Gallagher Lake are extremely well run, clean, and very secure. It was a real pleasure to deal with you. Copyright © 2019. EZ Group All Rights Reserved.